I have to start by confessing that I love LOVE LOVE Pixar movies. I think Cars and The Incredibles are fantastic, I love Finding Nemo (it’s amazing how little kids at an aquarium will now identify the clownfish by yelling, “Look! It’s Nemo!”), and Up and Wall-E are marvelous. 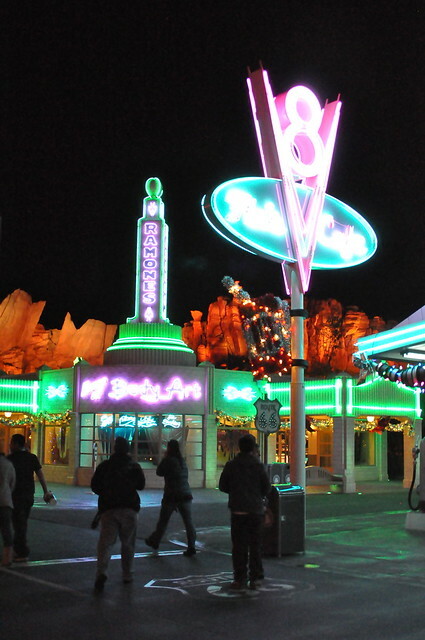 And I really love the Buzz Lightyear ride in Disneyland. So I was really struck by “The Pixar Theory of Labor,” a new piece in The Awl by Australian writer James Douglas, that argues that the movies are really all about being happy workers. Essentially, it argues that all these movies are thinly-disguised propaganda advertising neoliberal capitalism’s belief that you are your job (or your lack of a job), and that you are defined by your economic productivity. Pixar has created a stable of films for children that is founded on narratives of self-actualization—of characters branching out, embracing freedom, hitting personal goals, and living their best lives. But this self-actualization is almost exclusively expressed in terms of labor, resulting in a filmography that consistently conflates individual flourishing with the embrace of unremitting work. Is there any other production house operating today that is more obsessed with narratives of the workplace and employment? The basic Pixar story is that of an individual seeking to establish, refine, or preserve their function as an instrument within a system of labor. The only way Pixar is able to conceptualize a protagonist is to assign them a job (or a conspicuous lack of one) and arrange the mechanisms of plot to ensure that they fulfill that job…. Pixar’s debut film [Toy Story] organized a scenario involving sentient toys as a narrative about two men fighting for the same job. In not one but two sequels, it revisited those same characters in a narrative about how bad retirement is, and how awful it is to be made redundant. 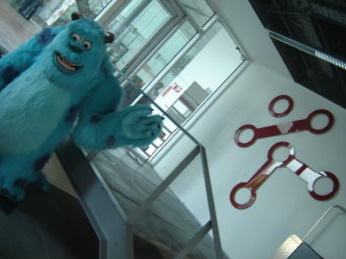 In [Monsters, Inc]..., it developed a parallel universe populated by monsters and powered by childrens’ screams to tell a story about a workplace duo striving to be the most efficient employees. Up is ultimately a film about how unthinkable it is to retire; even elderly widowers must find a new vocation. In film after film, Pixar presents narratives chiefly concerned with characters trying to be the best at what they do, or otherwise prove their usefulness…. Cars is a film about an ambitious racecar who is forced to chill out and not be so competitive, except he really just learns that chilling out and not being so competitive is the key to being an even better competitor. This is coming from a workplace culture that, under the guise of compassion, has erased the distinction between free time and labor time, and expects their employees not to notice that they working that much harder. The company exemplifies better than Google or Apple or Facebook the complete merger of life and work: “For Pixar, to live is to work,” and that vision guides life on-campus (where there are all the usual high-end amenities), as well as what they put on-screen. There’s one meaning of work which is simply hours spent in a workplace, or hours devoted (whether in the office, on the road, at a client site, or at the playground as you ignore your toddler plaintively cries out for help off the slide) to an employer. It’s work as livelihood. Confusingly, “work” has a second meaning: it’s meaningful activity that improves your self, that gives you a sense of purpose, that lets your exercise and improve mind or body. (It doesn’t do all these things at once, of course.) This is work not as livelihood, but as way of life. The problem is this: the Pixar movies are all about the second kind of work. Buzz and Woody aren’t trying to be “efficient.” They’re not trying maximize Andy’s hedonic experience, or shorten the amount of time Andy plays with them so he can spend more time doing schoolwork. In Toy Story, Buzz and Woody are the classic unlikely buddies: they start of battling for supremacy, then realize that they need to work together to keep all the toys together and keep Andy happy. And defeat Zurg, of course. In Toy Story 2, Woody has an opportunity to live a far more efficient life as an economically valuable vintage toy (made even more valuable by his being part of a unique collection of vintage toys). However, in a heart-warming turn of events, he ultimately rejects this exciting career in the Japanese financial services industry in favor of good old-fashioned American care-giving. And don’t even get me started on an argument that Toy Story 3 represents an argument about efficiency. I can’t even think about the end of that movie without starting to weep. If Cars is about winning, it’s as much about learning what’s worth winning, and what’s worth sacrificing. Likewise, Monsters Inc. is set in a world in which the market for the precious commodity of children’s screams is destroyed– disrupted, if you will– by the hapless Mike and Sully in favor of a new economy based on laughter. Arguably this is an economic tale, but it’s hardly a moral of efficiency. More like Schumpeter via Looney Tunes. And Buzz Lightyear doesn’t become a more productive worker in the course of Toy Story, either. 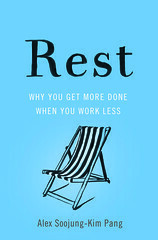 The arc of his character is one in which his single-minded pursuit of the Evil Emperor Zurg is complicated by his discovery of the importance of loyalty, and the need– dare one even suggest it?– to discover a better work-life balance. And this gets as the essay’s misstep, as I see it. The tragedy we face these days is about how this second notion of work gets appropriated and twisted in the name of the first. It’s entirely appropriate to argue that the modern workplace is badly-organized, along antiquated ways of thinking, in the service of employers who find it convenient to make every-greater demands on workers while avoiding any kind of reciprocal responsibility to employees (to the point of insisting that they actually have no employees). The theory that the man or woman of sixty has nothing more to contribute to society, during the ten or twenty years of active life that remain, is wrong. The belief that men in later years cannot learn new skills, and educated men new professions, is false. Most men who retire could, and would, continue in constructive work if they saw that they were needed. But many of them face a paralyzing psychological misconception. They are halted by it, although there is often no true physical or mental disability. Let me describe to you the evolution of a little-recognized disease. It is a psychological malady which we might name pseudo-senility or false senility. [The retiree] who yesterday was busy and capable of contributing something that was of value, now stays home…. He notices that his recent memory is not as good as it was when he was younger, although distant memory is good enough. He doesn’t know that this is caused by the fact that the hippocampal / gyrus in the temporal lobe of each side of the brain often suffers some interference in its circulation, while the rest of the brain is as good as ever for many years to come. He thinks he is good for nothing, not realizing that people who are good for nothing don’t think so. He begins to disintegrate. The only thing that could be guaranteed to make him disintegrate faster would deb an increased intake of alcohol. That man is suffering from a delusion of incompetence, not from incompetence itself; a retirement neurosis of false senility. The whole trouble was that what he needed when he was given the gold watch was a new job, and difficult job— not a rest. Beyond the normal rhythm of work and sleep, rest was not what he needed. Rest, with nothing else, results in rust. It corrodes the mechanisms of the brain. The time of retirement should be reorganized and renamed. It is the time for embarking on a new career, the last career perhaps, but not necessarily a less enjoyable one; not, perhaps, a less useful one to society. Disease and disability may overtake men at any age, of course, and force them to withdraw from work. But the capacity of the human brain for certain purposes often increases right through the years that are marked for standard retirement. And who can say? Those purposes may be what the world today needs most. Penfield, incidentally, wrote that around 1960. But I’ll give the last word to my daughter, with whom I saw Cars in 2006, when she was seven. As we were leaving the theatre, we bumped into one of her classmates, who was on her way to see it. How was the movie? the friend asked. “On second thought, it actually really bothers me that that there’s no mention of The Incredibles, because it’s the perfect example of everything the piece is arguing. Mr. Incredible has to discover that his family is his real adventure; Elastagirl has to admit (at the urging of Edna Mode) that she really did enjoy being a superhero; Violet and Dash become well-adjusted kids when they’re allowed judicious use of their superpowers. None of this is about work as efficiency; it’s all about work as identity.